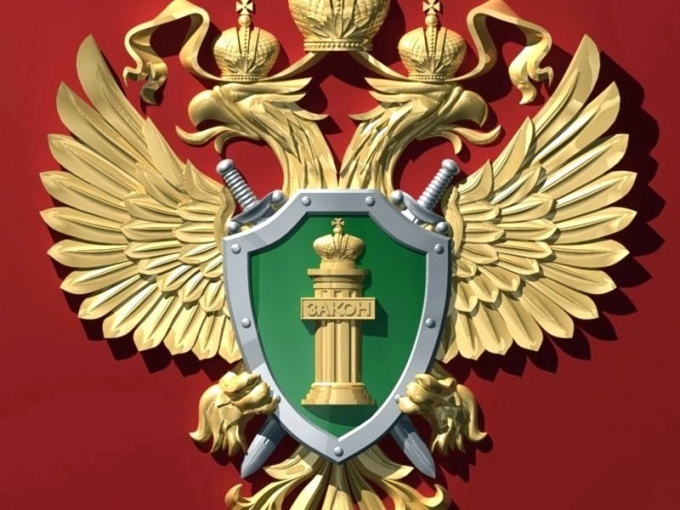 The law "On the Procuracy of the Russian Federation" the Department presents a broad range of powers for supervision over compliance with legislation in practically all spheres of our life. The objects of supervision may be the activity of any legal entities, individual entrepreneurs, state bodies, etc. In cases where you become aware of violations of legally protected rights, freedoms and interests of man and citizen or the interests of society and the state, you have the right to ask for this matter to the Prosecutor of the relevant district, city, etc. and the prosecutors, in turn, are required to verify this information and to take all measures falling within their competence, to resolve violations. No law establishes requirements for the form and content of the treatment (except, of course, that it should not include information that is defamatory, obscene expressions, etc. ), so it is made in any form. When preparing a letter to the Prosecutor's office use the following guidelines. As required by the rules of the business letter in the upper right corner of his conversion, specify the name of the authority of the Prosecutor's office, as well as the name and position of his head. Generally, written requests are sent in the name of officials, who then appoint a specific responsible agencies for carrying out check according to your request. Here fill in your details (name and place of residence). Below, in the middle of the line, there is an appeal: "Dear Ivan Ivanovich!". Directly in the body of the email indicate: who and how violated your rights and interests or the rights and interests of other persons, describe all the information about the violations of the law as it deems necessary. For example, "I are owners of flats No. 33 building 56, located on the street Ignatouk of Izhevsk. In violation of the legislation on the provision of public services OJSC "MONTAZH-Stroi" that supports our house stopped the flow of hot water in the period from 10.08.11 till now. My written and verbal request of the staff of this organization do not respond". In conclusion, state the request and make a reference to the law on Prosecutor's office: "guided by article 10 of the Federal law "On the procuracy of the Russian Federation" of 17.01.1992 № 2202-1, I beg You, to check upon the termination of hot water supply and take measures to eliminate the violation of my rights and legitimate interests". At the very bottom and sign and date, specify a contact telephone number. The letter can be taken to the office of the Prosecutor's office, sent by mail or given to a Director personally.